So, today it just so happens to be National Dog Day (Thanks facebook!) 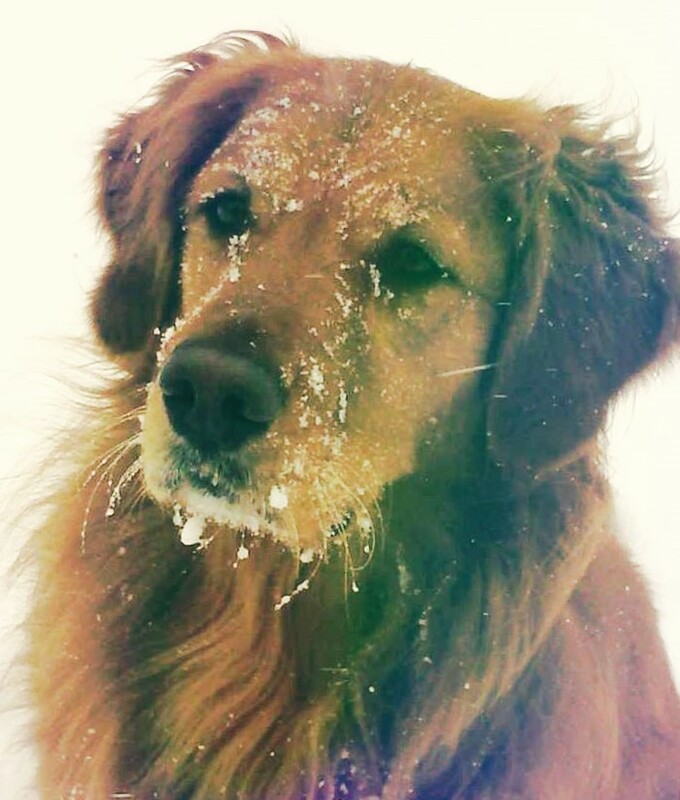 and I would like to make a personal post about a very special dog in my life. I realize I have yet to post a personal post, so here’s the opportunity to take small peek into a bit of my life. 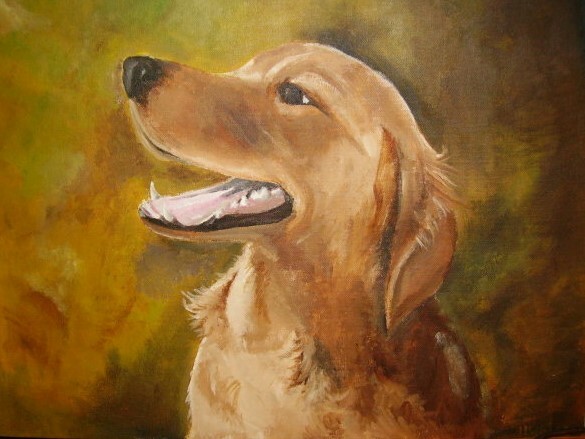 The painting above was done by me about 5 years ago, and is a portrait of my Golden Retriever, Tizzy. Tizzy was gifted to me by my boyfriend, now husband, 7 years ago on Easter Weekend. The purpose was to fill a gaping hole left in my heart after a devastating miscarriage I had suffered. 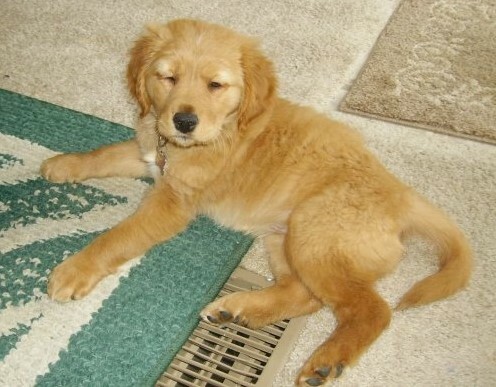 We had seen in the newspaper a man selling Golden Retriever puppies, but he only had one left. My husband had worked night shift at the time, and had to leave for work soon, but we felt we felt a spontaneous desire to see this puppy. If you know my husband and I, you know how strange this is, because I am not terribly spontaneous and he is even less so! So we drove over an hour into a very rural part of Kentucky to look at what he hoped would be our new puppy. She was so small and shy, and the breeder informed us that his litter had been an accident, and he hadn’t been planning on having a new litter so soon. My husband and I were so surprised this sweet little puppy was the last to be picked. Maybe it was because she was shy, or maybe because she was the only puppy with a white speck on her forehead. The breeder then asked if we had a name picked out, and we said replied with Tizzy. He said, “She doesn’t look too much like a Tizzy!” She had fallen asleep in my arms. After we got home, she bloomed. She was no longer the shy, quiet puppy at the breeders, but started to live up to her name! And I bloomed as well. 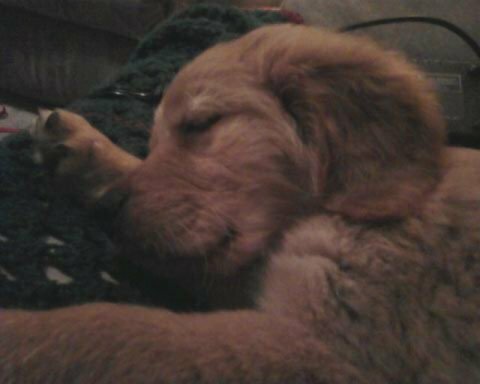 After being so preoccupied with my grief, I now had this sweet puppy to look after. Whenever I would cry, she knew I was in pain and would comfort me. A few years later, I gave birth to a healthy baby girl. We were overjoyed, and so was Tizzy. 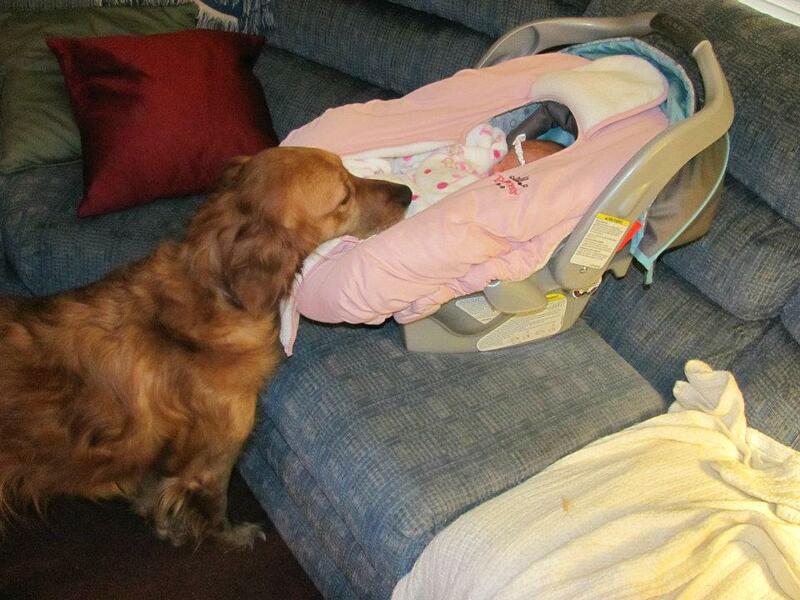 When we brought our daughter home from the hospital, Tizzy knew immediately that we held something precious. Her usual ritual of bouncing and running around on our arrival was absent. We sat our daughter sofa still in her carseat and Tizzy walked over to her, and gently laid her head on the edge, and just looked for several moments, as if in wonder. It’s incredible to think about the bond humans and dogs share. For centuries, dogs have been serving humans as Man’s Best Friend, a title that is well deserved. Service dogs, police dogs, search and rescue dogs… there’s no doubt in my mind that dogs are amazing creatures! If you have been touched dog in your life, or any animal for that matter, please feel free to share in the comments!